If I’ve said it once, I’ll say it a million times: South Jersey is a great place to grow up. We had the option of going to the ocean, the mountains, open fields, major cities, farms, lakes, zoos, museums–you name it, I day-tripped it and was home in time for dinner. My parents are both originally from the North East PA so it was important to them that my brothers and I liked to be outside because they grew up outside–climbing trees, getting dirty and hanging my little brother from a make-shift game hoist in my grandmother back yard were all a part of childhood. My mom loved to take us to the farms just outside of the Pine Barrens to pick blueberries in the spring, corn and tomatoes in the summer and apples in the fall. We’d spill in the front door after a long day of running between the rows of plants, covered in dirt and juice with stomach aches from stuffing our faces with the ripe, fresh fruit and more in bags than we knew what to do with. My mom and I would pick out the best looking specimens to save for fresh snacks and set to work on the rest — peeling and chopping for pies, sauces and jars. The apple sauce was my favorite. We only ever picked McIntosh Apples so that’s what made up our sauce — tart, juicy white flesh cooked down to a soft, caramelly brown mellowed with the addition of grated cinnamon sticks, some lemon zest and just a touch of sugar. Since it was a pretty healthy snack, and my mom made it in vats, I ate it to the point of near combustion on more than one occasion. And I miss it. My sweet tooth craves a taste of fall afternoons long past, when a bad day meant I had too homework or got in trouble for staying too late at the playground. So I set out to make my own. 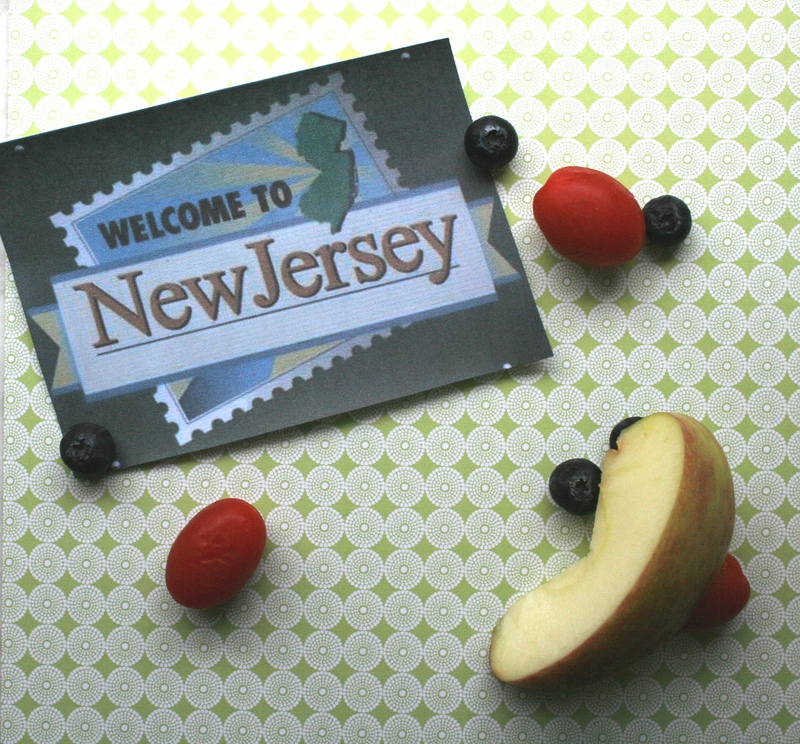 On the odd side of New Jersey apple season. 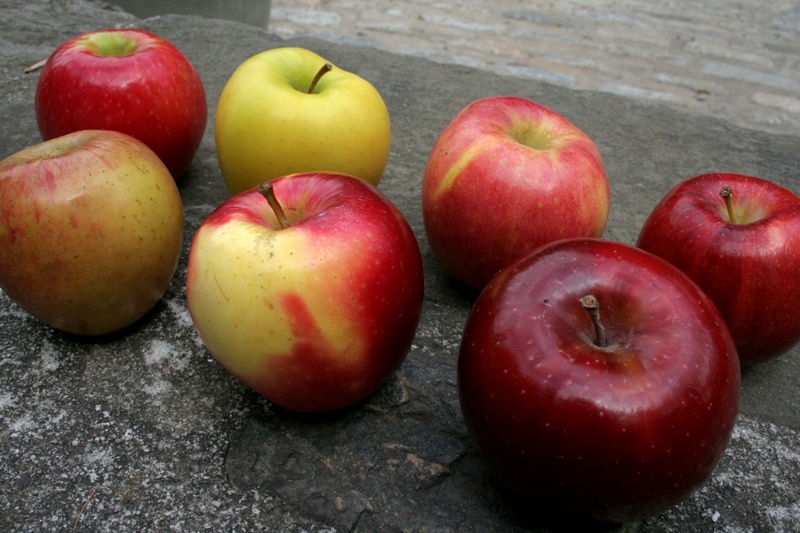 Braeburn, Rome, Cripps Pink, Royal Gala, Golden Delicious, Pacific Rose and Fuji all ready for action. With McIntosh apples not looking so hot, and too many other options to pick just one, I decided to compromise: I bought one of each. Working with Betty Crocker and her guide to Apples-and-Their-Uses, I found a good combination of sweet and slight tart apples that are good in sauces and made a well-balanced mashup. And while I was slicing and peeling, I remembered that my I used to love buttered noodles, white bread, and I thought that dark chocolate tasted like dirt — my childhood palate was pretty boring. I need spice. Some kick. Some heat. So instead of water and sugar, I added Jack Daniels…and then a little more. 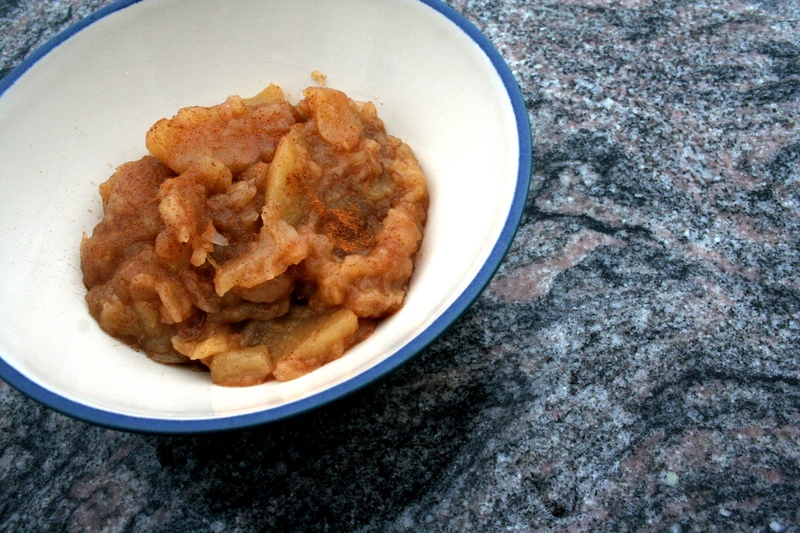 The oaky blend pulled the spice from the cinnamon out of hiding and gave my apple sauce a slap in the face. It was a mouthful of crisp fall evening, a faint fire burning somewhere — it even lingered in my nose the same way. 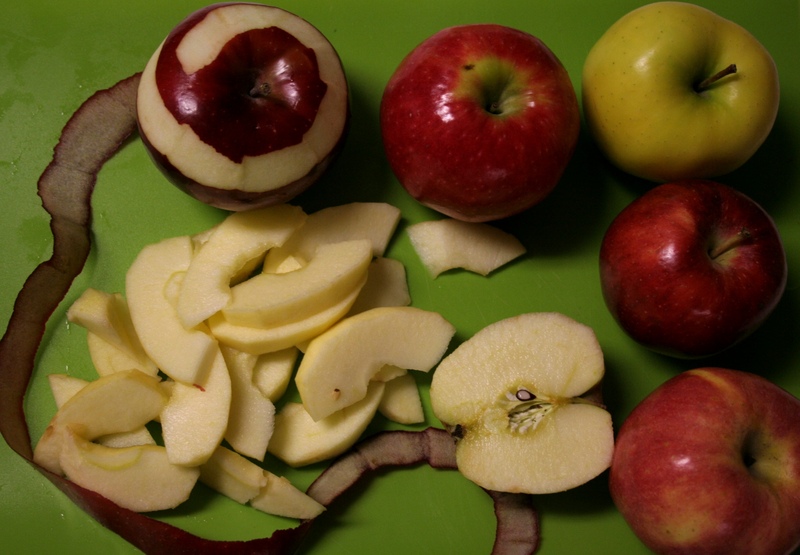 Peel, core and slice all apples and place in a large stock pot with water and whiskey. Cover and simmer on low heat for 30 minutes, stirring regularly. Add cinnamon. Cover and continue to cook on low heat for another 30-40 minutes. This is fantastic when served warm over vanilla ice cream or spooned over a pork tenderloin and roasted. Or you can eat it like I do : out of tupperware without even closing the refrigerator.